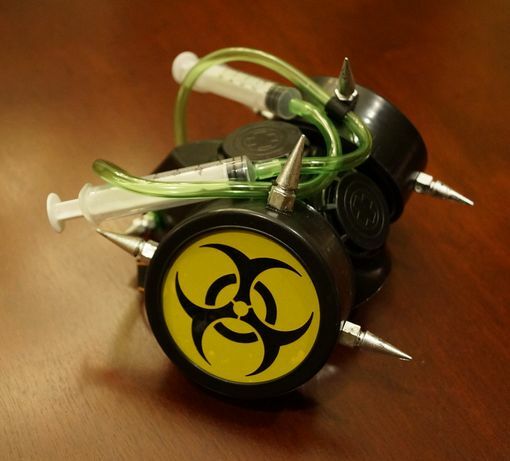 Bio hazard gas mask has syringes and tubing connected to mask. Mask is accented with silver spikes and comes with elastic bands. Gas mask also available in red. This is a costume accessory and not to be used a real functioning gas mask.